Hello! 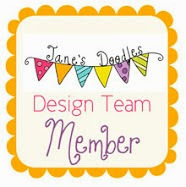 Today I have a Jane’s Doodles card to share with you which was posted on the Jane’s Doodles over a week ago. 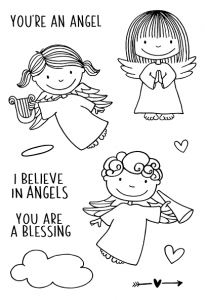 To see the original post over on the Janes Doodle’s blog, head here. 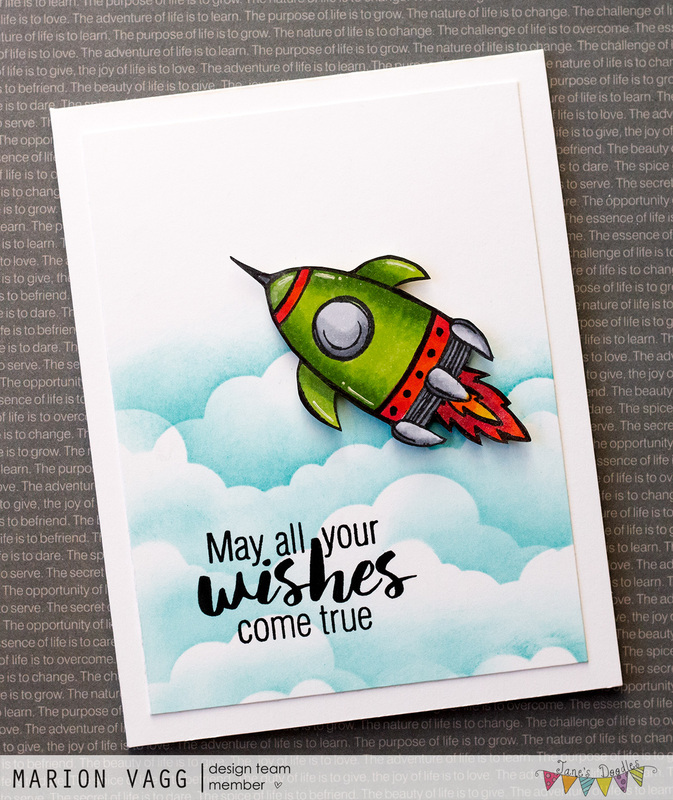 The rocket is from the To the Moon stamp set and the sentiment is from the Birthday Wishes stamp set. 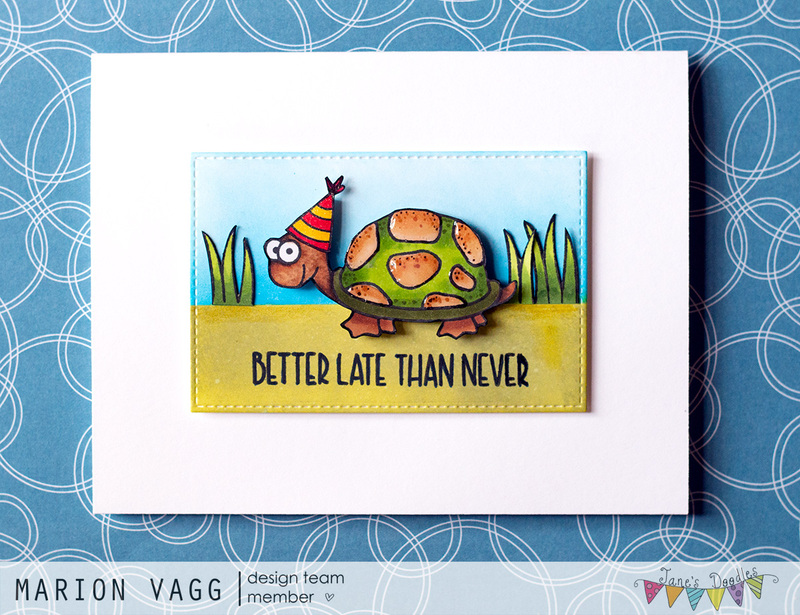 I needed some children’s birthday cards for my stash, and this will be perfect for a little boy. The rocket is coloured with Copics. I created the clouds, by first making a mask from a cloud die, then blending on some ink with an ink blending tool. I’m back with some more Jane’s Doodles goodness. 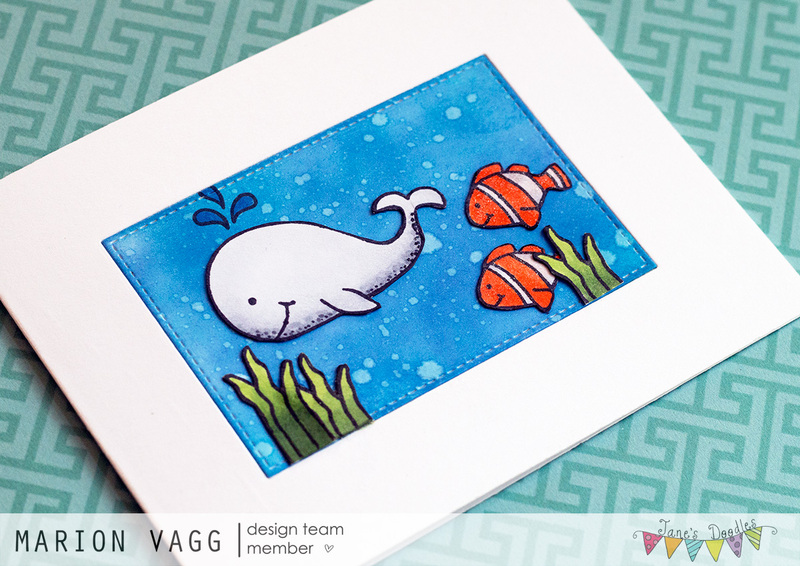 Earlier this week there was a blog hop showcasing Jane’s latest stamp release. If you missed out on the new release I encourage you to check it out here. My favourite is the Free As a Bird set, and I’m having trouble putting it down. 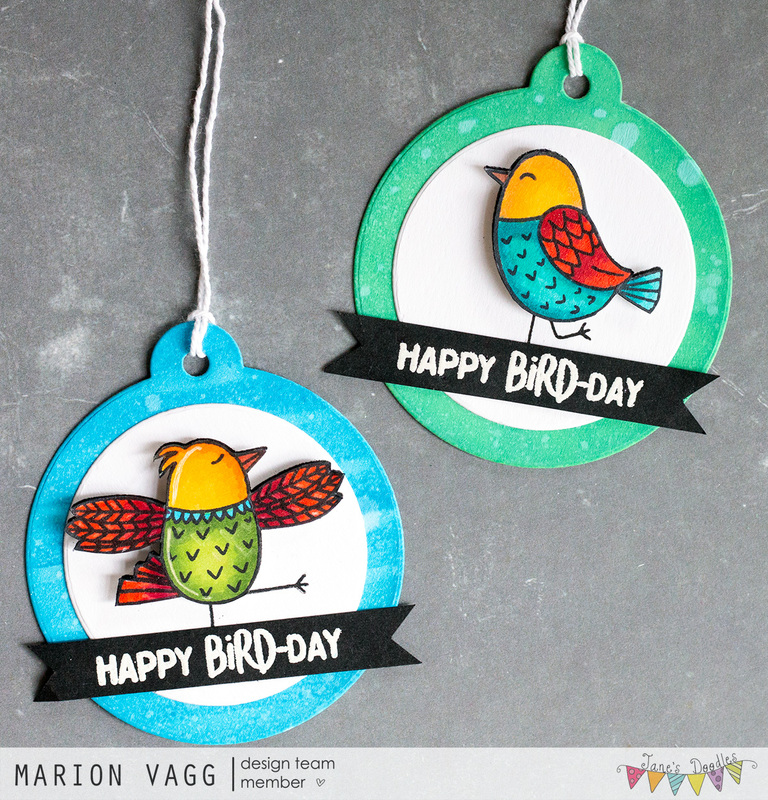 These funky birds are SO.MUCH.FUN! I coloured them with Copics and then added some shimmer to the wings. 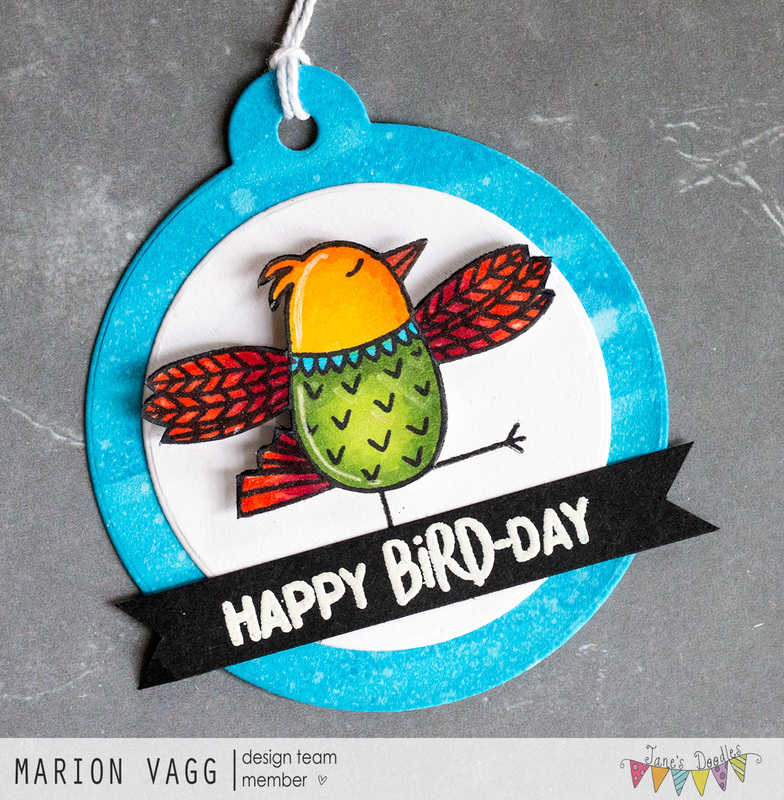 Perfect little tags to go on birthday gifts. 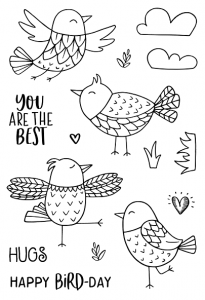 To see the post over on the Janes Doodle’s blog, head here. Hello! 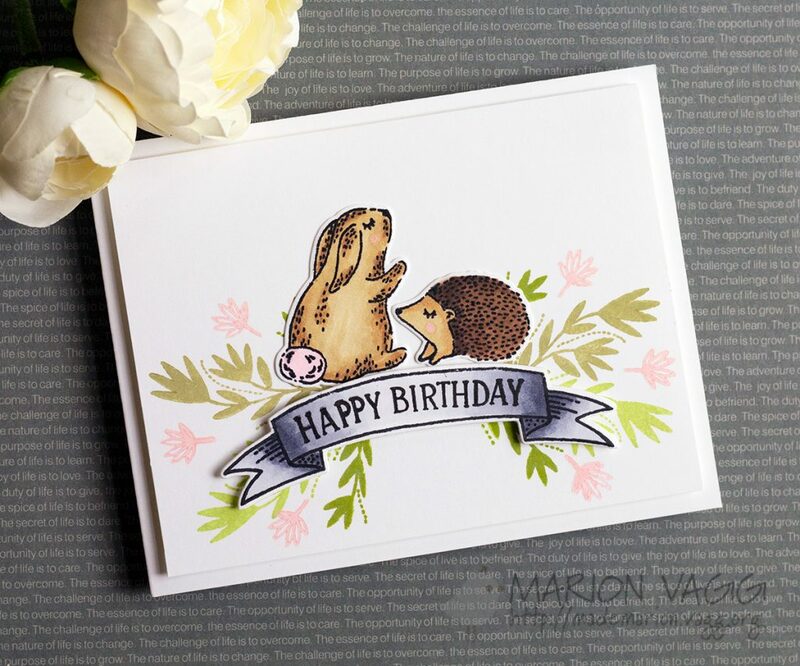 Welcome to another Jane’s Doodles blog hop where the Design Team are showcasing Jane’s latest stamp release – five sets in total. You should have arrived from Milka’s blog. 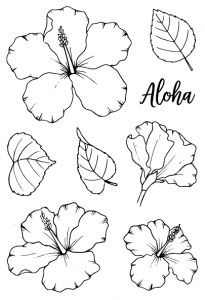 If you get lost along the way, there is a list of blog hop contributors at the end of this post. Without further ado, here are the five new sets. 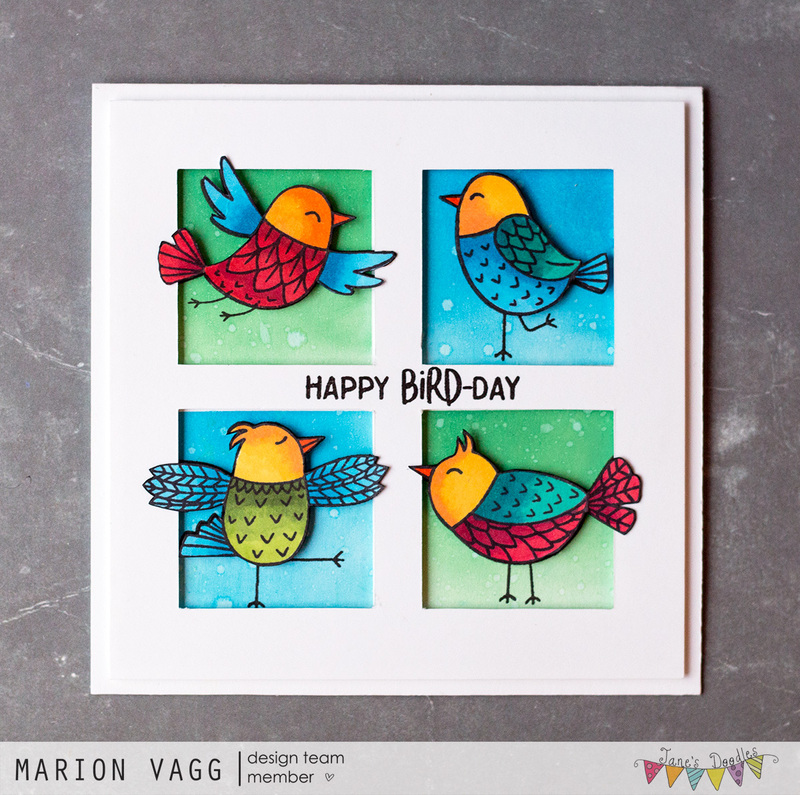 First up is my favourite of all the new sets and it’s called Free As a Bird. I had a lot of fun colouring these funky birds using Copics. To create the four windows, I measured everything up and hand cut them out with a craft knife and a metal ruler. I inked behind the windows with Distress Oxide inks, and then I mounted the window panel over the top with 3D mounting foam. 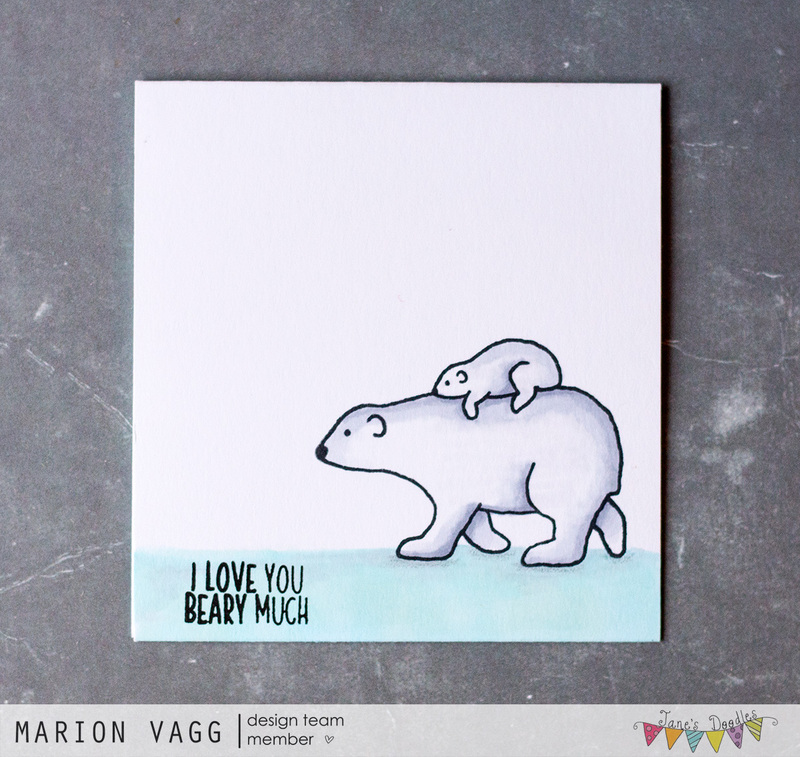 Next up I have used the Bear Hugs stamp set. 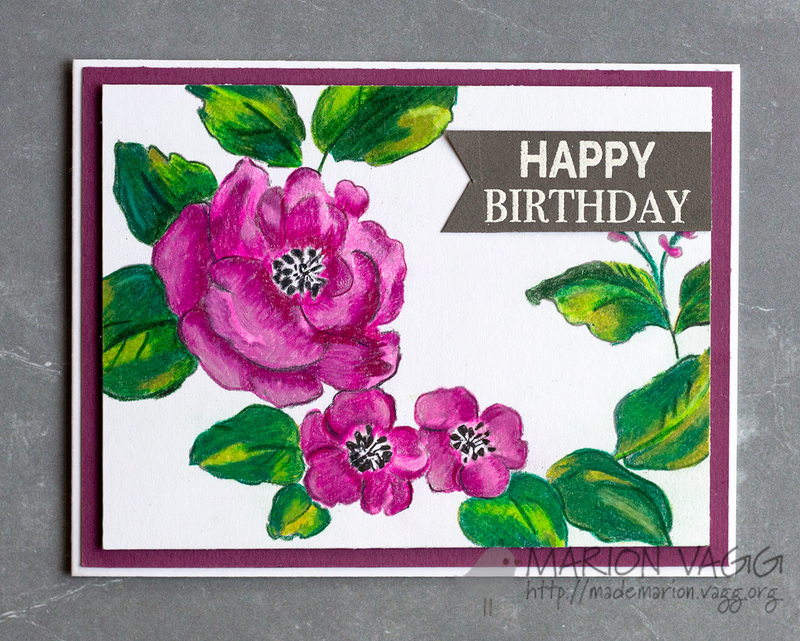 This is a simple one layer card – stamped and coloured with Copics. 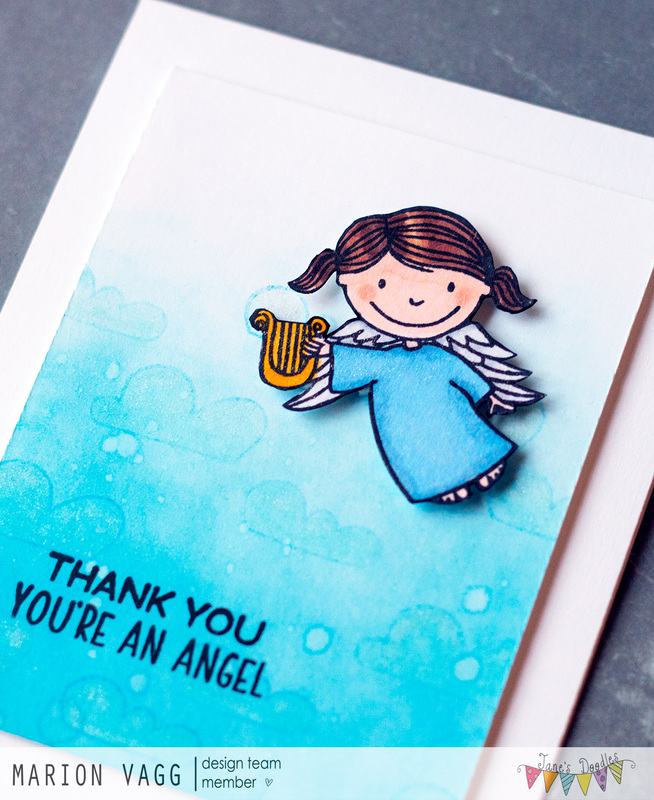 This next card uses the Angels stamp set, and I also used the Thank You sentiment from the All Occasions stamp set. This is a great sentiment set that I will be reaching for often. It’s hard to capture in the photo, but the angel is sparkly and shimmery, as are the clouds in the background. 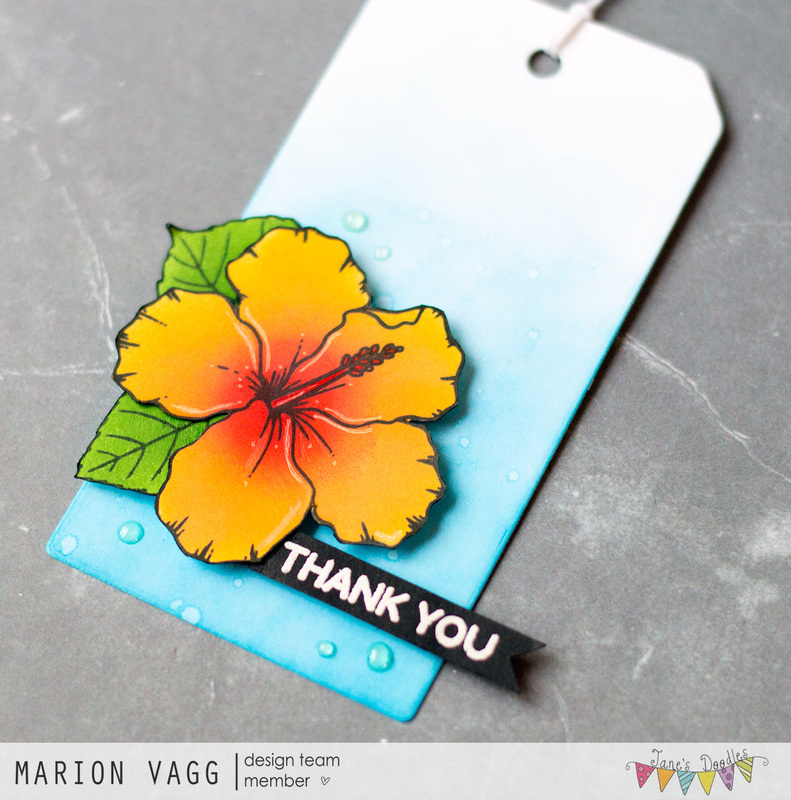 Last but not least, I have made a tag using the Hibiscus stamp set, with another sentiment from the All Occasions sentiment set. 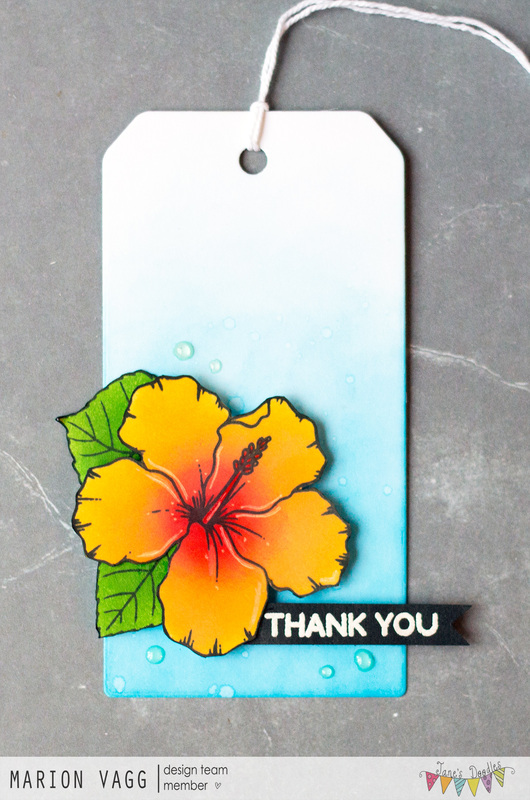 For something different (as I always reach for my Copics), I used Distress Oxide inks to add colour to the flower using a finger sponge dauber. I then re-stamped the original image again, to make sure the edges were nice and crisp. 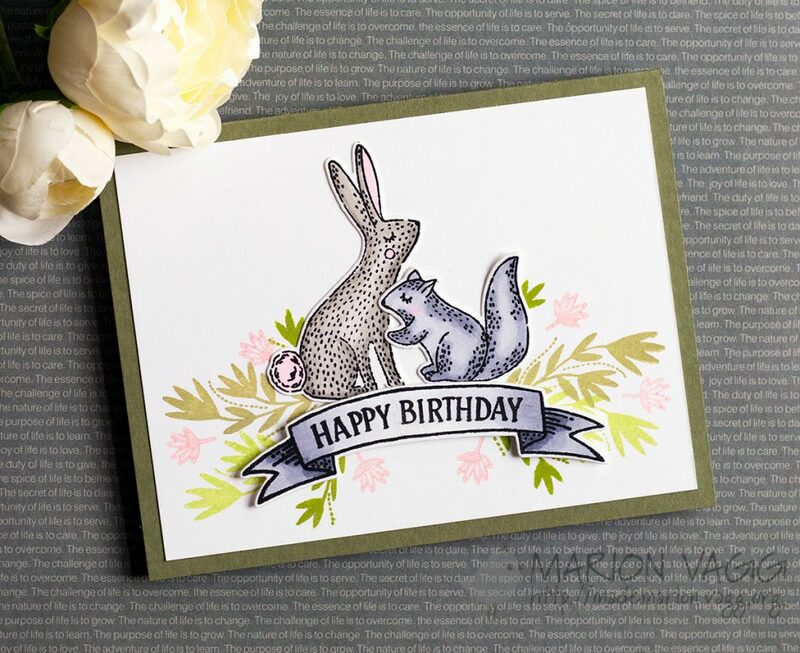 In addition to Jane having a 30% off sale on all clear stamps until Thursday, she is giving a stamp set of your choice to one lucky winner. All you need to do is comment on all the blogs in the hop and you’ll be in with a chance to win! The winner will be announced on Friday. Good luck! 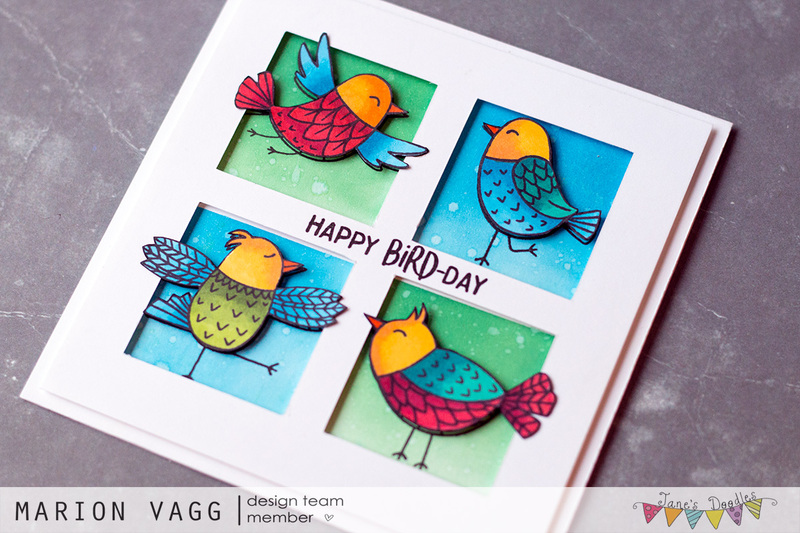 Your next stop on the hop is Galina’s blog. Hello friends. My life has been somewhat busy lately as I’ve been writing school reports, and I haven’t had a lot of time to craft. However, I’m pleased to announce that I’m almost finished, and I’m looking forward to the next holiday in 3 weeks time. 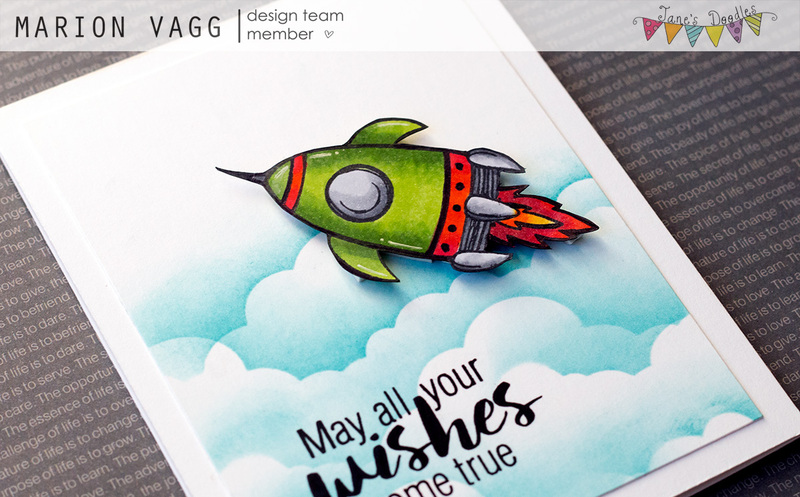 Anyway, I’ve had two cards up on the Jane’s Doodle blog over the past few weeks that I haven’t shared here yet. 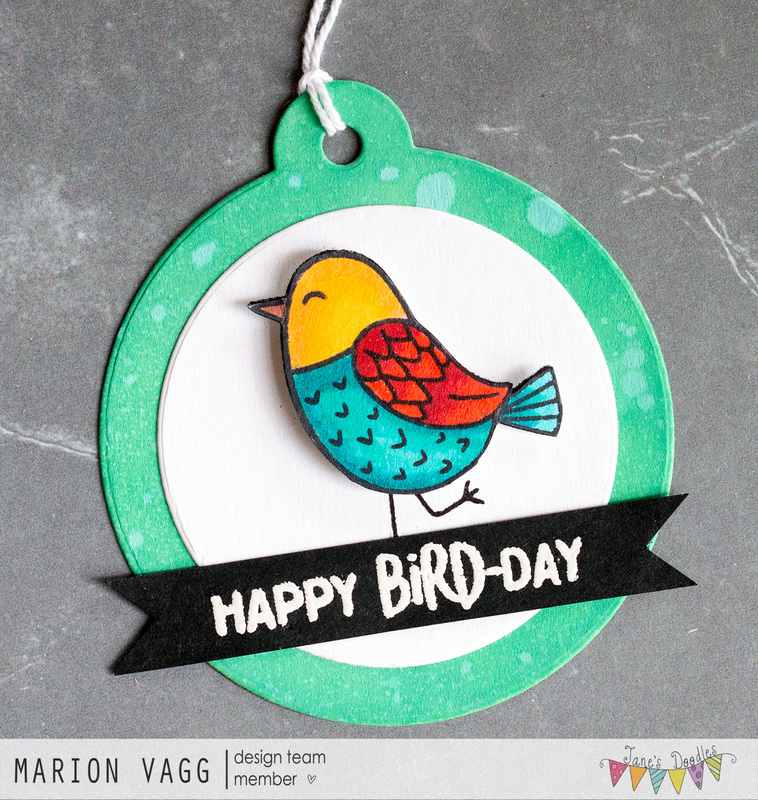 First up I’ve used the Belated Birthday set to make this cute little critter card. On the inside it says Happy Birthday. See the original post here. 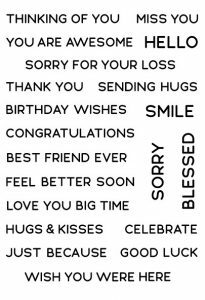 The next card was made for a student in my class who was leaving. I didn’t get a photo of the inside, but it said ‘Have a whale of a time”. 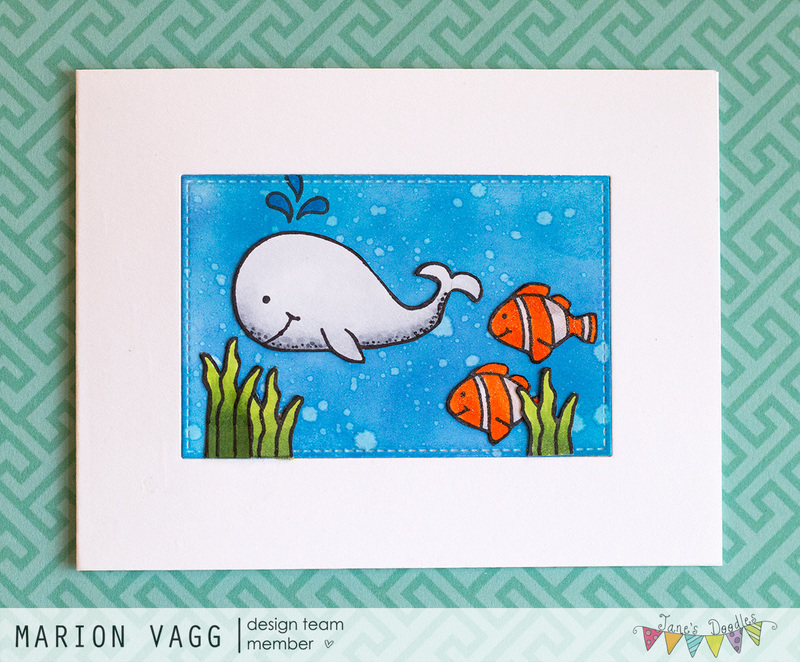 I used the Under the Sea stamp set. I love making little scenes, and Jane’s sets are really fun to mix and match. See the original post here. Thanks for stopping by today. 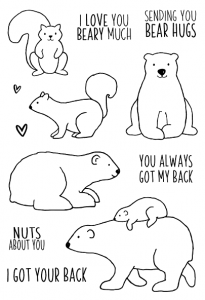 I hope you are having a wonderful day.